Everyone needs a perfect vanilla cake recipe in their baking arsenal and this cake recipe will be it. With very few ingredients, it is quick to throw together and works great as cupcakes or as a full cake. If you need a larger sized cake, this recipe works well when doubled or you can also cut it in half with no problems at all! 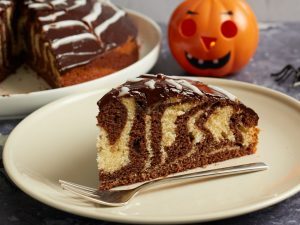 This cake goes great with a wide variety of frostings as well from a simple vanilla buttercream to a rich chocolate ganache, you really can't go wrong with anything you choose to pair it with! So next time a friend or family member needs a cake, sign up to make it as this recipe is not only delicious but fun to make! In a stand mixer fitted with a paddle attachment, cream the butter and sugar until light and fluffy. Scrap down the sides of the bowl and cream again. Add the eggs one at a time, mixing and scraping down the bowl after each addition. In a separate bowl, combine the flour, baking powder and salt. In another separate measuring cup, combine the milk and vanilla. Add about 1/3 of the flour mix to the stand mixer and blend the batter. While the mixer is on, slowly add about 1/2 of the milk mixture. Allow the batter to come together then turn off the mixer and scrape the bowl. Again add about 1/3 of the flour mixture followed by the remaining milk. Scrape the bowl and add the final batch of the flour. Mix until the batter is completely smooth, scraping down the bowl if necessary. Grease and flour an eight inch round cake pan. Pour the batter into the cake pan and spread as smooth as possible. 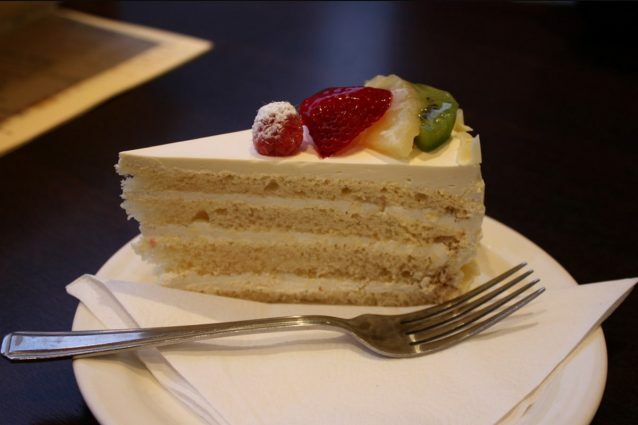 Bake the cake in a 350 ̊F oven for about 45 minutes or until a toothpick comes out of the center of the cake cleanly. Remove from the oven and allow the cake to cool in the pan. Ice the cooled cake as desired and serve! -This recipe will make about 12 regular sized cupcakes or 24 mini cupcakes. -Try adding almond extract rather than vanilla for an amazing almond cake. Lemon extract and lemon zest added to the cake is also a delicious version. 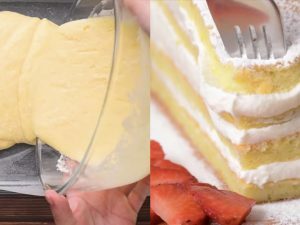 -As this cake is very light and fluffy, it goes great with a fruit filling such as sliced strawberries or raspberries in between the cake layers. You can't go wrong with amazing cake and fresh fruit! 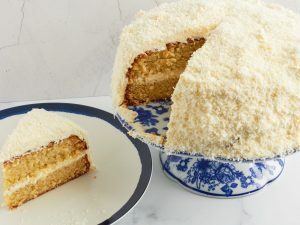 Fluffy vanilla cake: moist and creamy!